If you were distracted by tons of Google I/O coverage or our NVIDIA SHIELD review yesterday, there's a slim chance that you missed the even bigger news: Kung Fury is now on YouTube. Stop reading this and go watch it now. 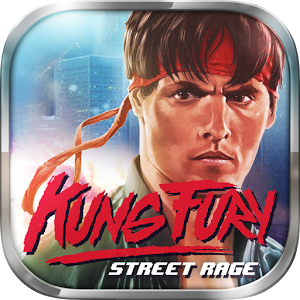 Then come back here and read about the official mobile game for the indie movie, Kung Fury: Street Rage. 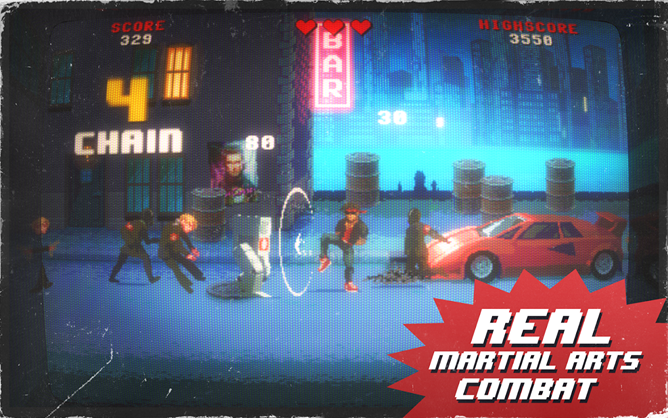 The mobile game recreates Kung Fury's extended hand-to-hand fight scene, in which the titular lone wolf cop/martial arts master/time traveler single-handedly attacks Hitler's Nazi army. Unfortunately it's not quite as complex as the original Streets of Rage beat-em-up: you only get two on-screen buttons, left and right. The core of the combat is to time your punches and kicks (which occasionally punch crotches, decapitate, or simply send enemies flying into the air) to rack up combos and carefully manage the horizontal space of the stage. There are no levels or bosses: just last as long as you can and kill as many Nazis as possible, and try to get on the high score table with such legends as Hackerman or The Hoff. 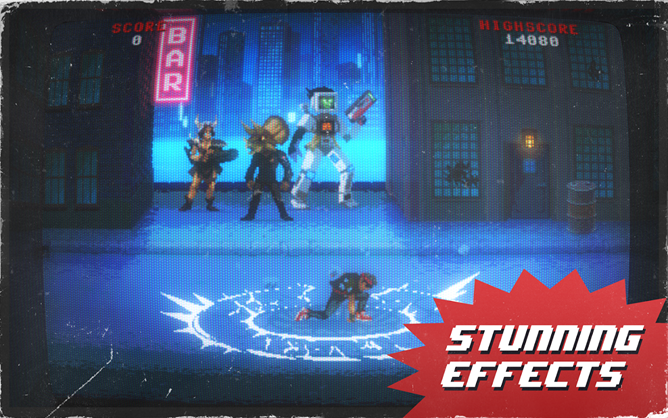 The game's art style is in line with the insane 80s retro-futurism from Kung Fury. It looks like one of the ubiquitous arcade beat-em-ups of the era, albeit with better animation, and the whole thing is covered in a CRT lens effect that makes it look like you're sitting too close to your parents' dusty RCA. 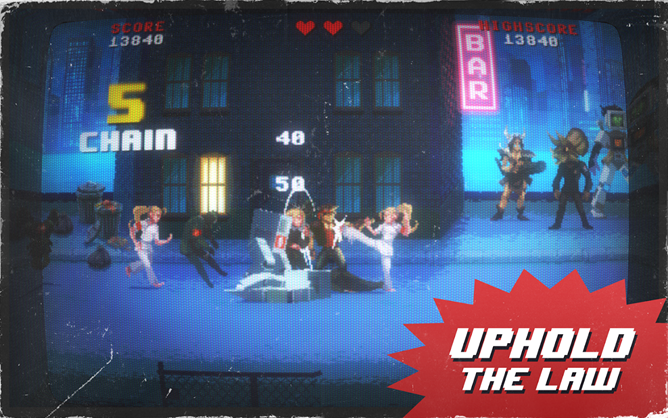 The game's music, a mix of ridiculous synth-pop and Chiptune, might be its best feature. 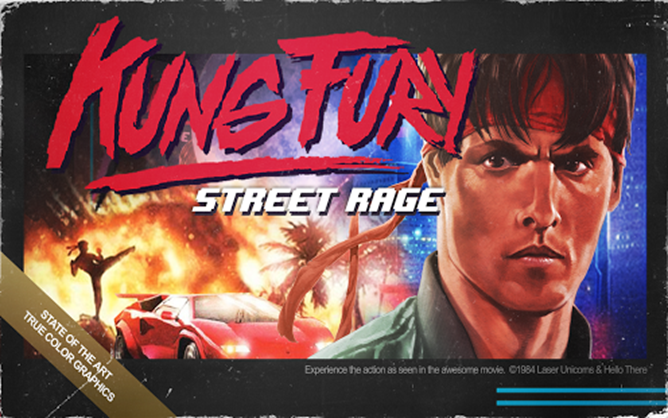 Kung Fury: Streets of Rage is a free download with a single $2.25 in-app purchase to remove advertising.